Bracelet print flower liberty and weaving beads, pink Burgundy Red shades beige and khaki. Elegant, delicate, floral, retro charm of handmade jewelry with passion! 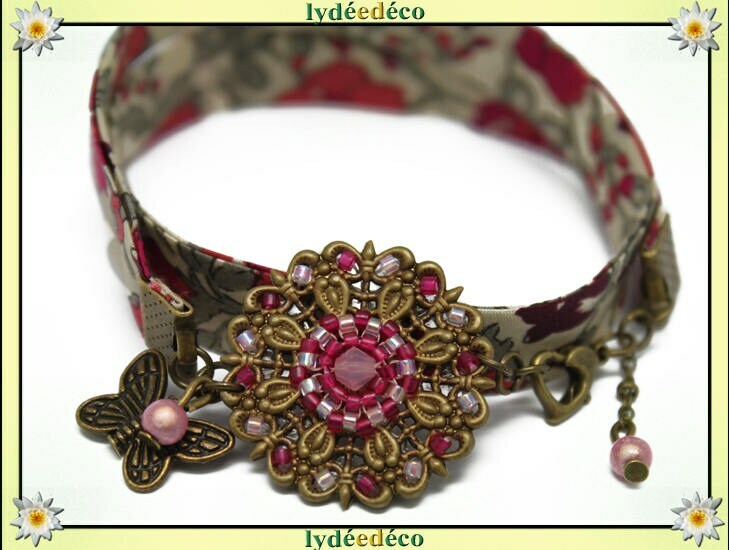 ☼Les liberty fabric bracelet and beadwork are available with different colors, find them in the shop.